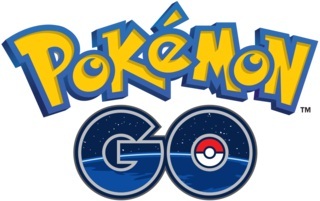 Soon after the release of Pokémon GO, most players complained about the high battery consumption of the mobile game for Android and iOS devices. On the support website of the developer Niantic states that they aware of the problem and are already working on a solution. In social networks like Twitter currently piling complaints about the strong battery consumption of Pokémon GO. So full charged batteries on iPhones and Android devices are consumed in less than three hours in the gameplay and must be recharged. Here, we give you some useful tips to prolong the battery life of your Android and iOS devices while playing Pokémon GO. - Go into the settings. - Select the item offline maps. - Tap on the plus sign in the lower right corner. - Pick your usual play area on the map. Then, you can download an offline map area. If you start now Pokémon GO, the map is always available and does not need to be constantly updated on Google Maps. The background music can enrich the gaming experience of Pokémon GO indeed, but it will also save battery life when you turn off the sound. This point should be understood, however, we have once again point out that its best to close all other background apps during the gameplay. Particularly apps like Twitter, Facebook, Instagram and Snapchat are true battery eater and shorten your play time. If you are not a user of Pokémon GO Plus which required Bluetooth to synchronize, turn off the service on your smartphone. Although cost only minimal battery power, turn off may spread throughout the day will help to prolong your battery life. Can you renounce the use of mobile data, it helps to prolong your battery life, then turn off Wi-Fi. When the Wi-Fi is on your phone is constantly searching for hotspots in the nearby area, which causes a lot of battery consumption. Therefore, you should switch on the mobile data only on the go and when you are at home you can switch off. So it reduces the consumption of mobile data to a minimum. If you are in school or at work and not playing the Pokémon GO, then the best way to save battery off the phone is to switch to the flight mode, which stops services such as Bluetooth and Wi-Fi. Also, ensure that apps don’t run in the background or download updates. Especially when you are traveling long trip, you should consider purchasing an additional battery to change the battery whenever needed for a longer game sessions. The Portable Power Banks provide even more battery life. These are chargers that you can charge them at your home and then on the go adjoins your Smartphone to charge it again. Good Power Banks can charge your smartphone multiple times. Pay attention when buying a Power Bank on the specified mAh (milliampere-hours). The higher this value, the more energy, a Power Bank grasp. Pokémon GO has a built-save option for battery. You can enable this feature via the settings. Just type the gear in the top right corner and set in the subsequent menu a tick by battery saver. However, the changes are barely noticeable and help only a little. One of the best methods for saving battery life of you smartphone devices is to reduce / lower the screen brightness. The battery of an iPhone with the lowest screen brightness, keeps in flight mode, will last more than three hours. - Only Catch a new Pokémon, unless you need more of the same type urgent for further development. - If you have enough items in stock, avoid unnecessary trips to PokéStops. - Try to avoid the zoom on the map if possible. - Catch Pokémon without the use of the camera in AR mode. - Reduce visiting Gyms, if you don’t have necessarily to fight or train. In general you should avoid all unnecessary actions that don’t directly bring anything to the game progress in order to save more battery.